Wide: 10", Deep: 6", High: 30". 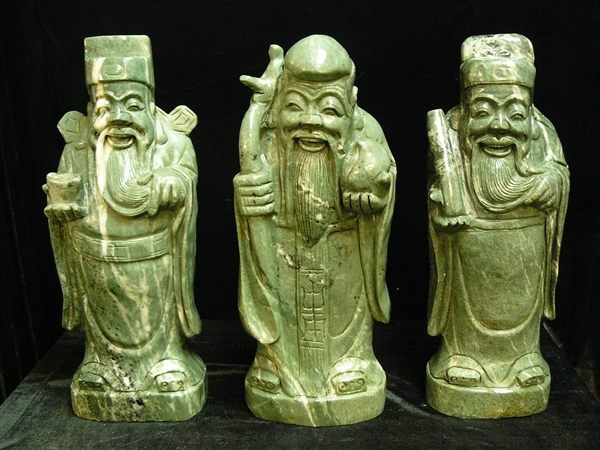 This is a SET of jade 3 wisemen. The Longevity, the Happiness and the Wealthy man. Also called "Foo", "Loo" & "Soul". It is the famous ancient Chinese gods who are believed to bring you good luck and good health.